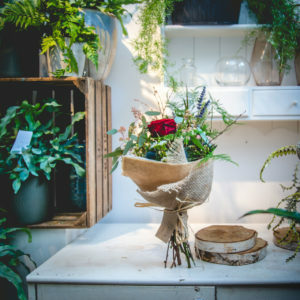 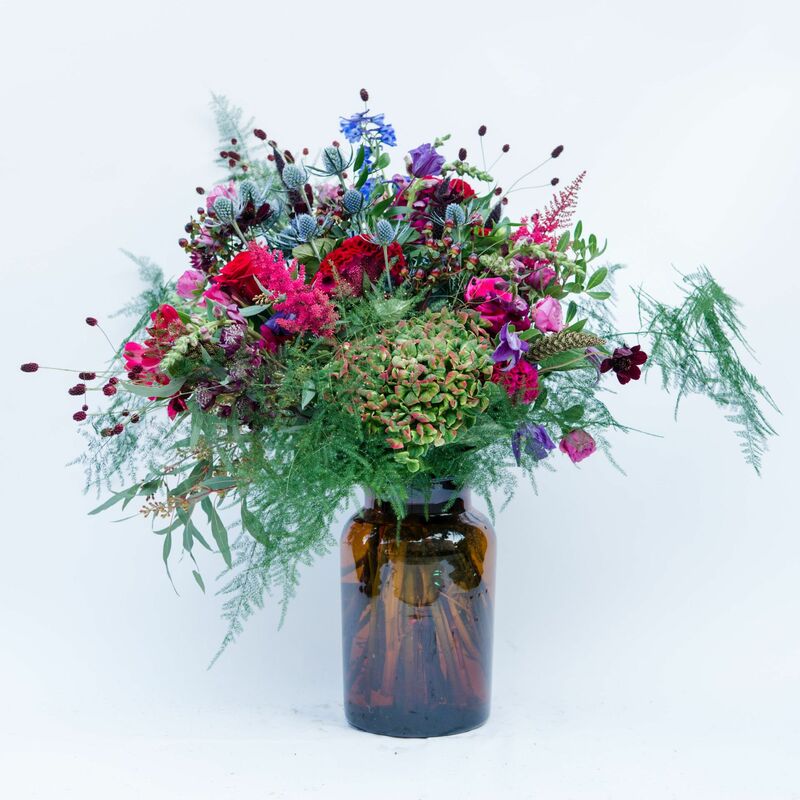 The Old Town Vase Arrangement. 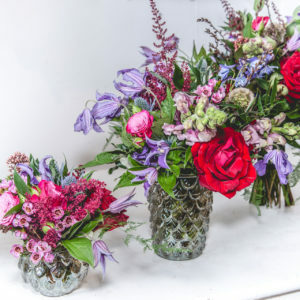 Inspired by the history-steeped cobbled streets, alleys, and buildings of Edinburgh’s medieval core. 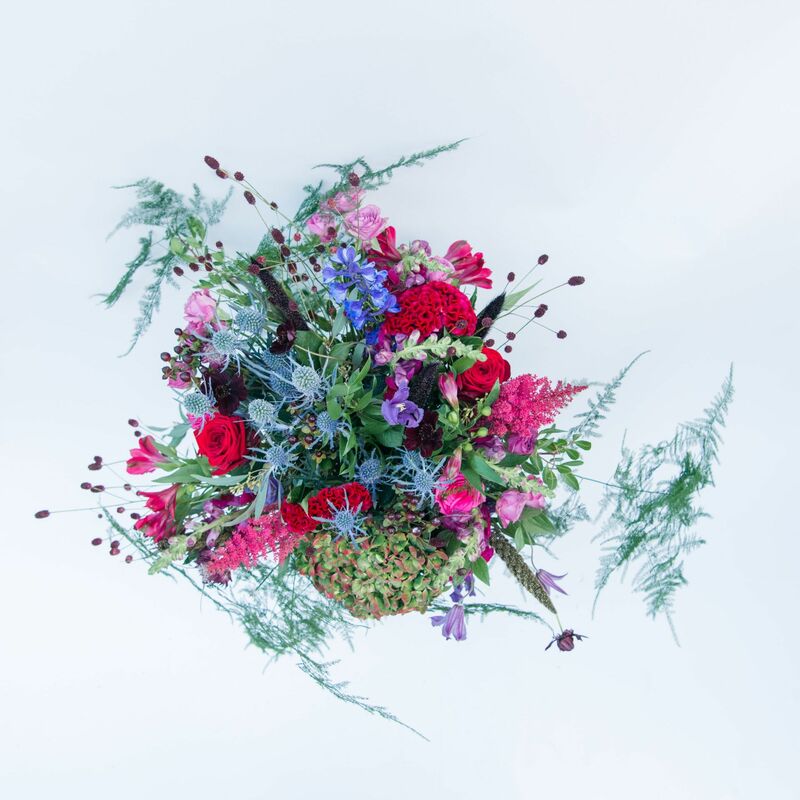 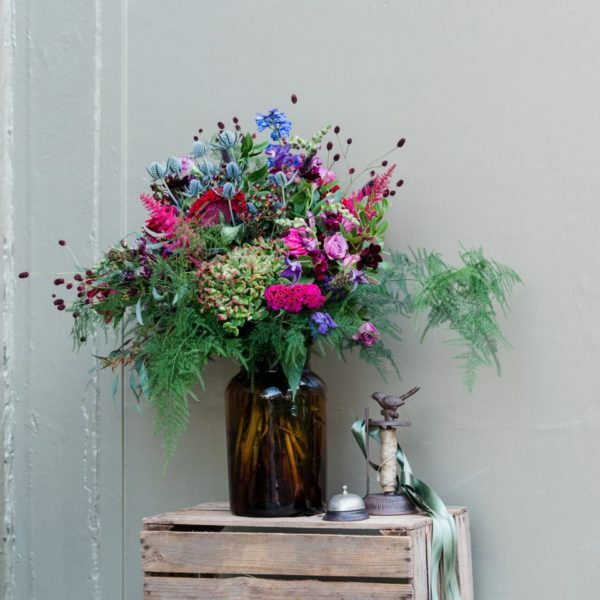 A hand-tied bouquet in rich jewel tones, a little bit dark and moody with old-fashioned charm and quirky touches. 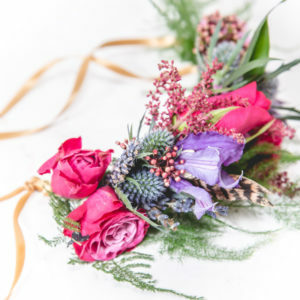 Flower content: Rich velvet roses, jewel-toned celosia, clematis, and thistles, quirky foliage, and textures.